Connecting our students’ learning to the real world is an essential piece of the learning puzzle. We are so lucky in this day an age to have access to amazing digital resources that we can utilise in the classroom environment. Using technologies such as Google Earth offers our students exciting ways to make meaningful connections to the outside world from their very own classroom. In this blog, we focus on Google Earth and share 20 Google Earth activities for the classroom. Let’s wind back the clocks a little and think back to our classrooms. 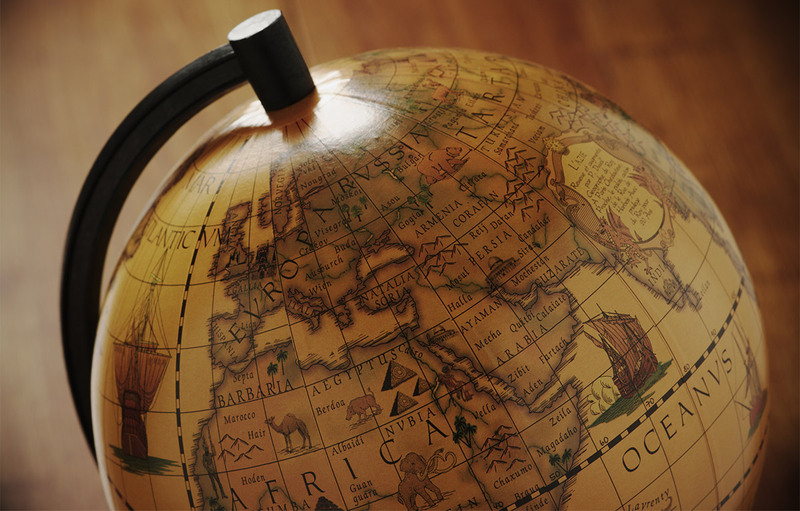 A world map and the traditional world globe were common resources found in most classrooms. These teaching resources still have a place in learning, however, how many times does the world globe find its way to the top of a bookshelf and its main purpose is to collect dust? Google Earth is much more fascinating than a small world globe and much more accessible for a larger group of students. 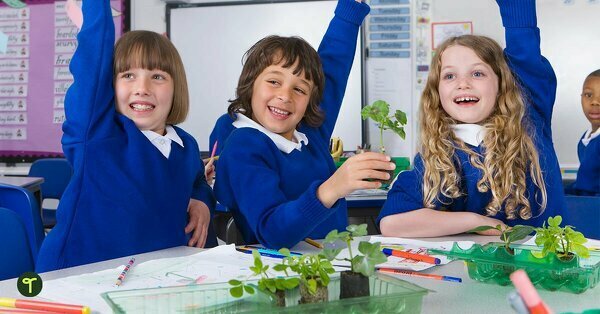 Have you ever used Goole Earth in your classroom? It’s a fantastic FREE program that allows you to virtually fly over the globe and view Earth through high-resolution graphics and satellite images. With new additions, it is much more than this now! It’s a database full of images, information, and fascinating history that can really bring the wow factor to almost any lesson. Science, mathematics, geography and history are just some of the subjects that can benefit from some quality exploring on Google Earth. One extremely simple yet effective activity to do with your students is to navigate and explore the wonders of Google Earth together. Click on the person icon and show how this is the ‘street view’ and how you can explore a destination from the street view and even go into some buildings! Take some time to look at how you can search for different destinations – search for your school and take a look around. Discuss what the minus and plus signs mean. Your students will be left wanting more after this first initial experience with Google Earth. Give them some time in pairs to have a play around with Google Earth as well. This will prepare them for the multitude of ways Google Earth will now be used in your classroom! 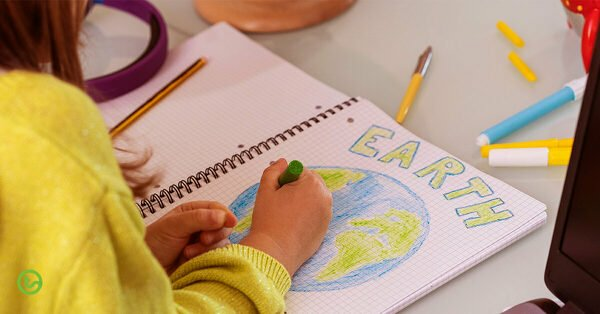 Take your kids away from math textbooks and writing sums in their books and fall down a rabbit hole of real-world math activities and experiences with Google Earth. Measure distances between two different destinations (e.g. school and home). Measure and compare the roof area of houses (students compare their roof area with a friend). Informal measurement – students take a screenshot of a familiar place in their neighborhood – like a local park. They take a screenshot on their iPad and then use emoji’s to measure the area of the park. Exploring location and general mapping skills including compass directions (north, south, east and west). Consolidate positional language with younger students. Go to street view and use positional language such as above, below, in-between, beside, etc. 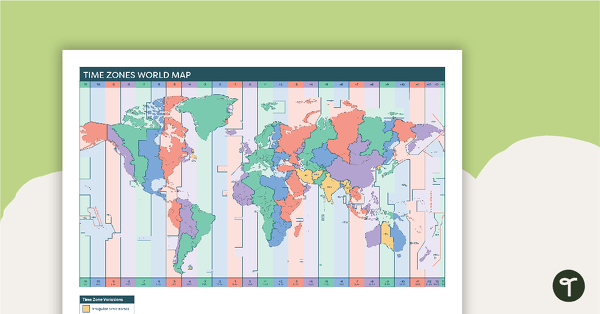 Explore time zones around the world. 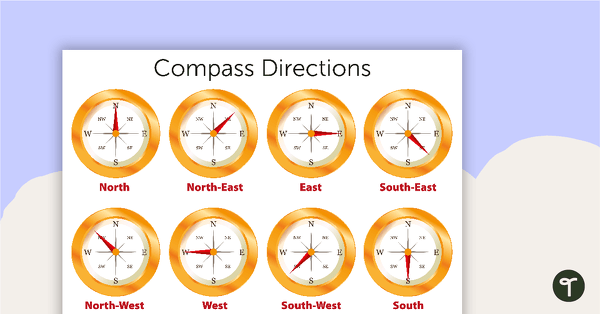 A poster displaying the elementary compass directions. 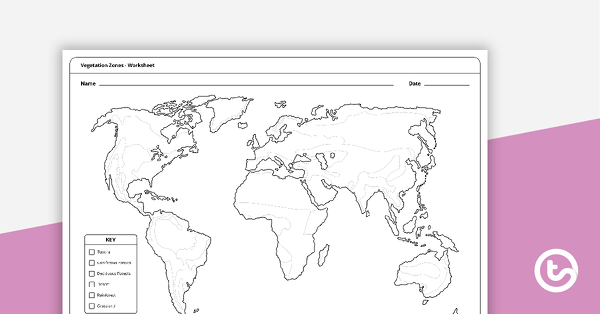 Use Google Earth to explore and consolidate your students’ knowledge of latitude and longitude using a variety of activities. 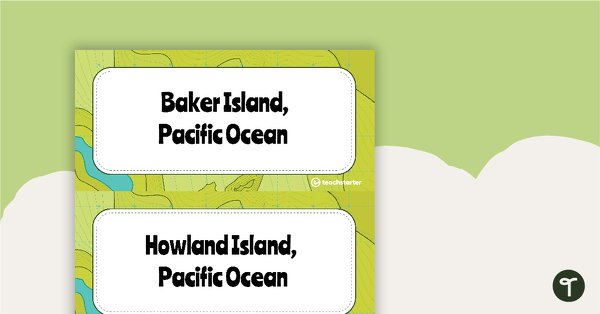 Students can go on a scavenger hunt, finding the coordinates of their school, the closest park, closest train station or closest library and write down the geographical coordinates of these places. 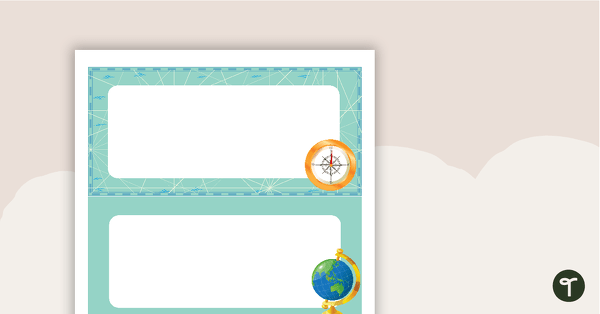 Use this worksheet along with Google Maps to teach your students about longitude and latitude. 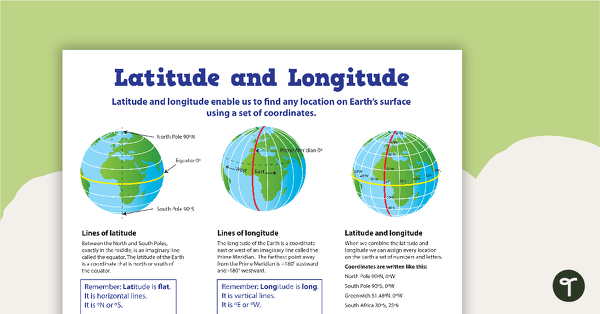 Use this educational poster when students are learning about geographical coordinates, latitude and longitude. 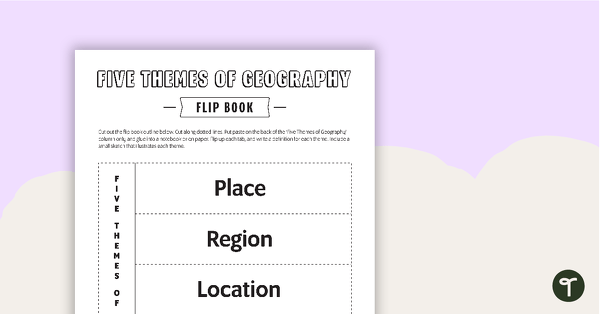 87 geography related vocabulary cards for a word wall. Across the world, there is a multitude of different landmarks (man-made and natural) for students to explore. In small groups, provide students with a particular landmark and get them to really discover this landmark by ‘visiting’ it in Google Earth. Get them to write down the coordinates or even get them to plan out a virtual tour of their chosen landmark. They can also write out some interesting facts about this landmark and present their findings to the class. Explore natural landscapes and features of your very own country with Google Earth. Students can research a particular natural landmark and report back to the class. A set of 5 posters highlighting some of the UK’s most famous Landmarks. A set of 8 famous landmarks STEM challenge cards encouraging students to build famous structures. 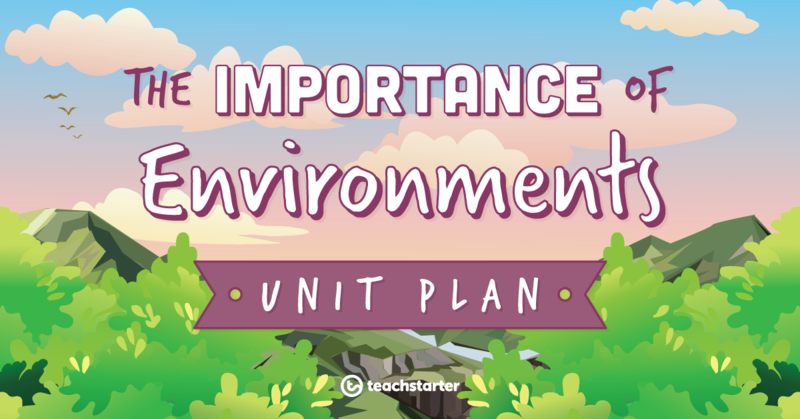 In one of our Geography Teaching Units – The Importance of Environments, students learn about the importance of particular environments to animals and people and the ways in which they can be protected. During this geography teaching unit, a number of different environments are explored including; coniferous forests, deciduous forests, deserts, grasslands and rainforests. After each environment has been discussed and explored during the unit, what a fantastic consolidation task to visit these particular environments using Google Earth. Open up Google Earth and pick a place of interest. Make sure there are some clues within the chosen image. The students then have to ask 20 questions to try and work out where they are. A great problem-solving task to get their brains warmed up! 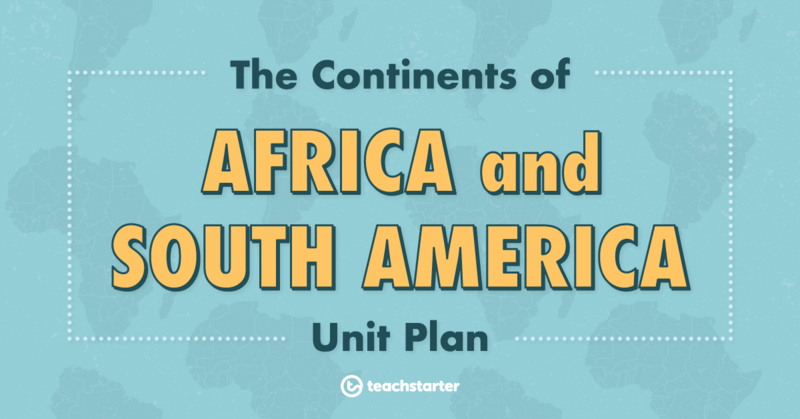 One of our geography units, The Continents of Africa and South America addresses the topographical features and the natural environment of the continents of Africa and South America. How can Google Earth help explore this topic with your students? The question is how can it not? What better way to explore the natural environments and topographical features of a continent by virtually visiting these places! Voila! Students can even use Google Earth to research and present about a particular country and it’s culture. Or even explore their very own heritage. A recording worksheet for students to use in the classroom when researching different countries and cultures. 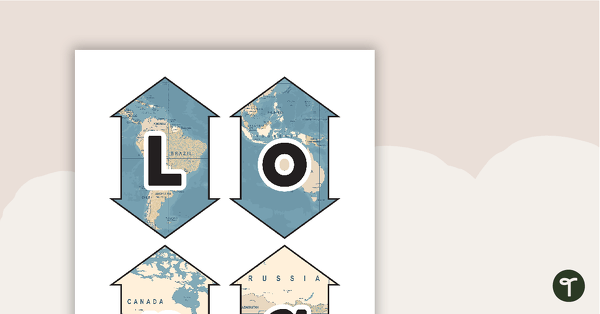 A map puzzle with continents and oceans to introduce students to world geography. 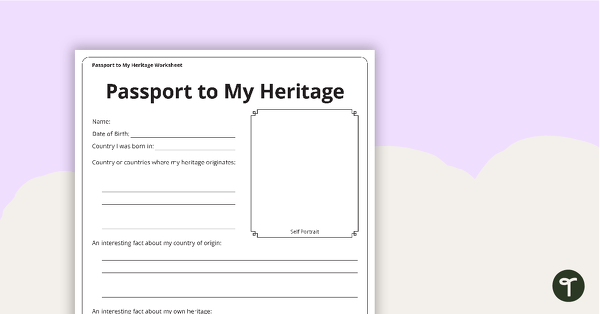 A recording worksheet for students to use in the classroom when researching their own heritage. When studying someone famous and completing a biography, make note of particular areas such as where they grew up, what school they attended, what university they went to and any other significant areas in that person’s lifetime. For example, when studying about Roald Dahl, complete our Roald Dahl Author Study Flip Book template and then let your students explore places relating to Roald Dahl’s life. What fun! Your students can take screenshots of these areas to include in their biography. Home task alert with Google Earth! Get students to ask a grandparent about their life and significant places of interest and let them explore these places together on Google Earth taking screenshots to show their friends in a speaking task! This feature is truly fascinating. Be careful, this is a rabbit hole that you could get lost in yourself! 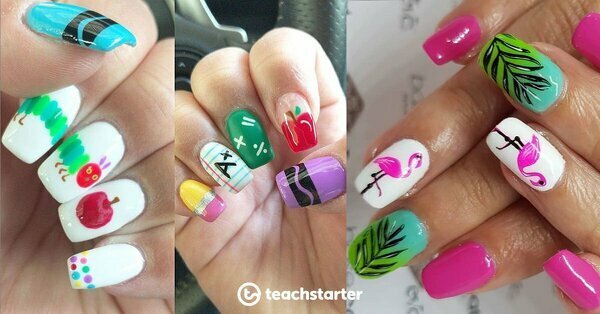 Go on a storytelling journey with your students through a variety of subject areas. Explore the world in an interactive educational experience like no other! 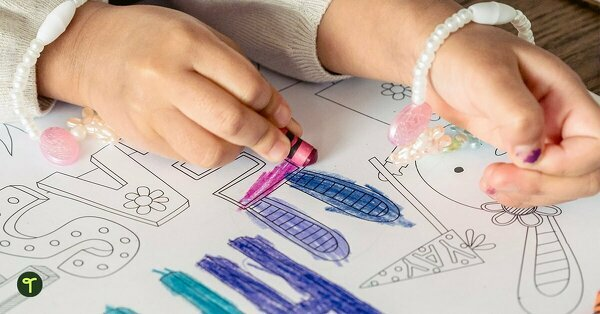 Explore classrooms from around the world and compare and contrast your own classroom with others. 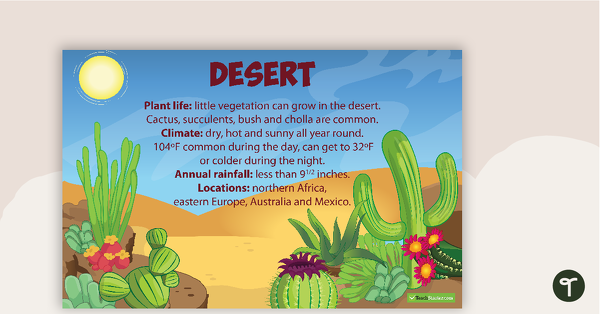 Experience interactive stories from around the world for an after lunch cool-down activity. Fly through landmarks from around the world. Follow six bold navigators as they open the globe to exploration and claim territory for European empires. Go on… I dare you to explore Google Earth! Be careful though, you’ll spend hours upon hours discovering the amazing possibilities!